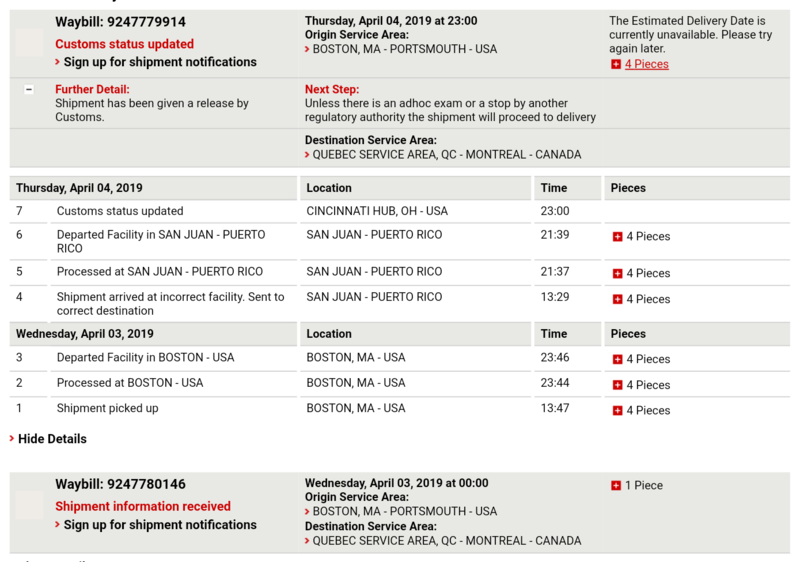 For anyone whose case was part of the NVC Shipment of April 2, 2019, be advised that it will likely take longer than normal for the shipment to make it to the Montreal consulate. "Why? ", you ask. 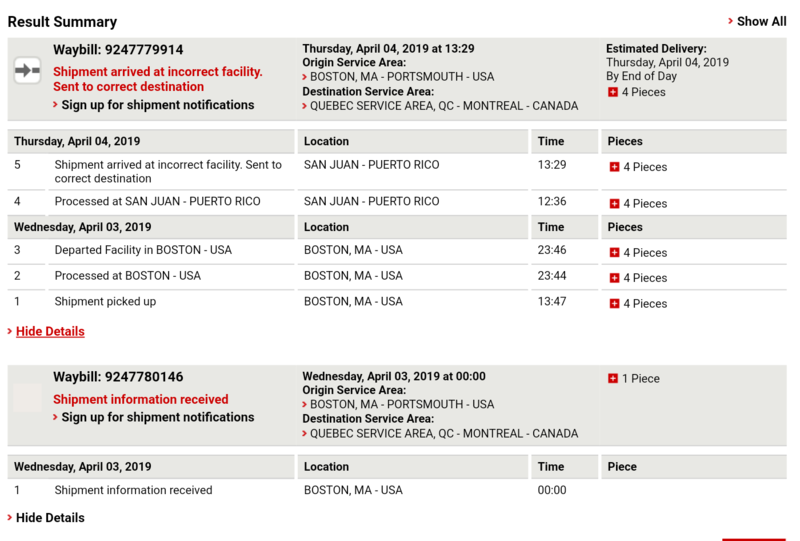 It was sent to Puerto Rico by mistake, and now has to make its way to Canada, slowly but surely. Thank you for that update. I wondering if there is a way to know what cases are in the package? I was documentarily approved by NVC on March 7th, but have not heard anything about an interview yet. If you call the NVC, they will let you know if your case was sent. You might have even been included in the March 19, 2019 shipment. Do you have your MTL Case Number yet? If not, call to get it. And ask if your case was forwarded to the Montreal Consulate. And ask what date. If you haven't provided your email address, do so when you call. I may be mistaken, but I believe NVC works differently in regards to spousal visa cases. They may get sent at different times than the K1 ones. Your best bet is to call them for an update and keep track of your case on CEAC website. I didn't realize this wasn't for a K1 (I'm on my phone and didn't check the timeline). Sorry about the misinformation I provided above! What are you trying to correct here?? I'm confused. That this snapshot may not have their case included. Spouse visas require processing at NVC with petitioner sending documents etc so they may not even be sent in bulk. Like I said, I'm not entirely sure how or if they can track their case using this method. Edit: Not correcting anything, btw. Giving illustration that the two visas are different and; therefore, tracking may be different as well. This is how K1s track their NVC to Consulate shipments. K1s pit stop at NVC and then the files go right to Montreal. So, this shipment status includes any K1s that showed In Transit on CEAC on April 2. I understand that perfectly well. My response was towards RenoBound who is filing for an I-130. Edit: upon looking at his/her profile, it appears it's a family sponsored visa (not necessarily spouse) but nonetheless follows a different process. Oooooohhhhhh that makes way more sense I didnt catch that they were asking about a dif visa. My bad! Update: the shipment is now in Ohio. Fingers crossed for a delivery tomorrow in Montreal. Further update: Out for Delivery! We can start keeping an eye on our CEAC status. I still can't believe this happened and it makes me wonder how often it does... Lolol. You had ONE JOB, DHL. At least they were speedy enough on correcting it!